Steve Hackett has never released a 'bad' album, in my opinion. Even his lesser liked works, such as Cured and Till We Have Faces have some good points about them, and, of all the artists and bands I like, he is, maybe, the most consistent of all. However, if I had to choose a least favourite album, this would be one of the contenders. Yes, I like it, and I have played it quite a few times, but for me it lacks an indefineable something when compared to his other releases. Maybe it is a little too ' modern' or 'jerky' in parts. Hard for me to describe really. 'Omega Metallicus' is a case in point. It is too bassy, staccato-like, and surprisingly unmelodic for Steve. Not bad, you understand, but not great either. 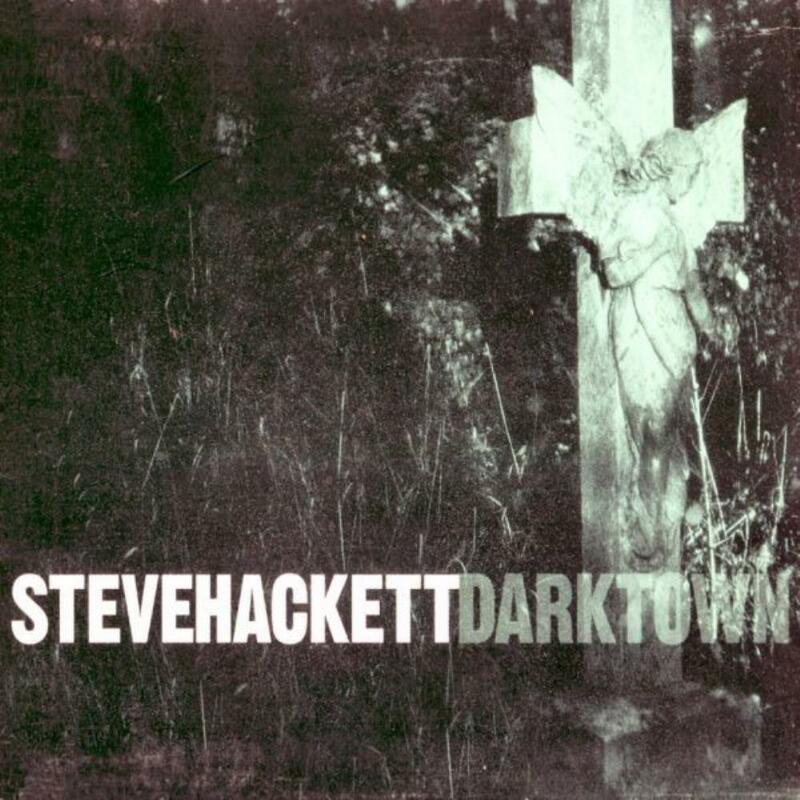 'Darktown' itself is another track that doesn't endear itself to me. It is ok, but doesn't have the atmosphere of a true Hackett classic. 'Man Overboard' is better. Nice harmonies, something Steve is a master of, combined with a good melody and that true Hackett 'atmosphere' I just mentioned. A good song. 'The Golden Age Of Steam' is ok, but not wonderful. Interesting lyrically, the melody doesn't inspire one greatly. (Nice harmonies again in the middle of the song though!) 'Days Of Long Ago' has some nice guitar touches, but is a quite average ballad really. However, the next track, 'Dreaming With Open Eyes' is excellent. One of my top three songs on this album, it is Hackett back to his best. Nice acoustic guitar, strong lyrics, atmospheric melody. It is the sort of song to drive along to down a country road in mid-summer. Beautiful. 'Twice Around The Sun' continues the good run of form. The second of my fave three tracks, this is a powerful and typical Hackett electric guitar instrumental, with amazing sustain at the end. Brilliant. 'Rise Again' is sombre, dark, and, well, average. A simpler song without a strong melody. Nice guitar in places though. 'Jane Austen's Door' is a nice ballad, with effective, muted guitar, and nice vocals from Steve. Not bad at all. 'Darktown Riot' is actually better than the title track mentioned earlier. Quite amusing yet dark. As intended of course. Then we have the third of my favourite three, the magnificent opus 'In Memoriam'. I thought at first he may be using lyrics from Tennyson's famous poem, but this is a different beast. Good melody, superb keyboards, astounding guitar work, which at times sounds like keyboards as well, and an almost choir-like chant in the chorus bring together many fine threads into a lovely work. This song could easily have fitted on Guitar Noir. It reminds me in a way, not melody wise but production and atmosphere wise, of 'Heart Of The City' on that album. I love it, and it is a grand way to finish the album. (I don't possess the Japanese version, so can't comment on the two bonus tracks.) Although it is not one of my favourite Hackett albums, it is still worth a listen or thirty! Again, his talent is undeniable.